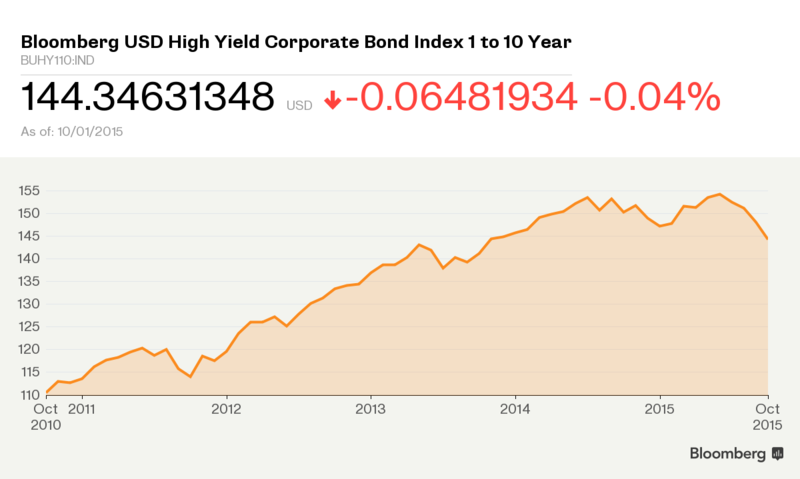 Junk bonds closed their worst quarter in four years, and investment-grade corporates turned weak. 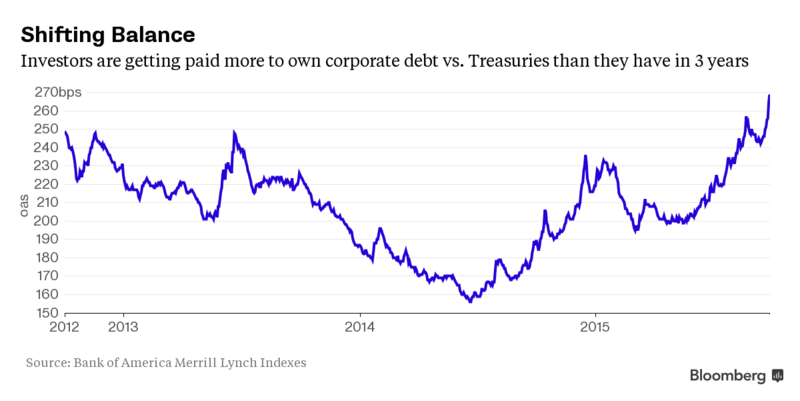 The past few days have been challenging ones for the corporate bond market where companies sell their debt. New rules around fund liquidity announced by the U.S. securities regulator, a raft of big bond sales in recent weeks, and continued concerns over the fate of heavily indebted energy companies, all combined to set the stage for a hairy week in the credit market. Here’s a snapshot of what happened. Junk-rated bonds sold by companies with more fragile balance sheets had already been showing signs of weakness as the week opened. Bank of America Merrill Lynch credit analysts added to the pain by noting that the junk bond market resembled a “slow moving train wreck that seems to be accelerating.” While investors had mostly been worried about energy companies that had borrowed from Wall Street to fund their exploration in recent years, their concerns seemed to be spreading across the high-yield universe. Concern that the commodities giant Glencore wouldn’t be able to get a grip on its $30 billion debt load fanned the credit market flames, sending junk-bond yields over 8 percent for the first time in three years early in the week. Much of that debt load was incurred when Glencore sold bonds to finance its blockbuster merger with Xstrata in 2013, at the height of investors’ frenzy for corporate bonds. 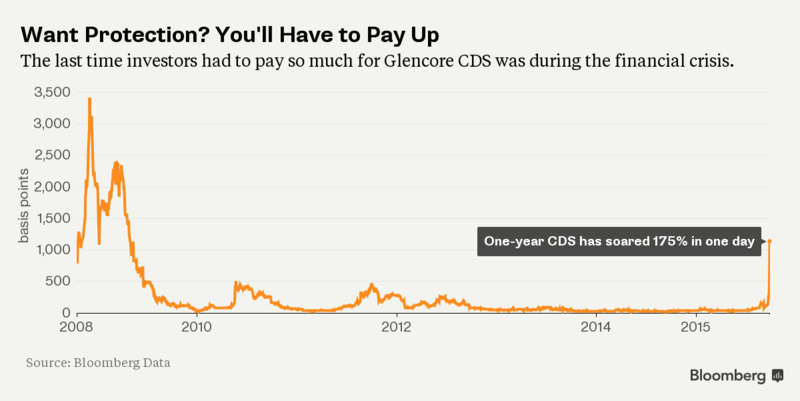 Meanwhile, the cost of protecting Glencore bonds through credit default swaps (CDS) jumped precipitously. 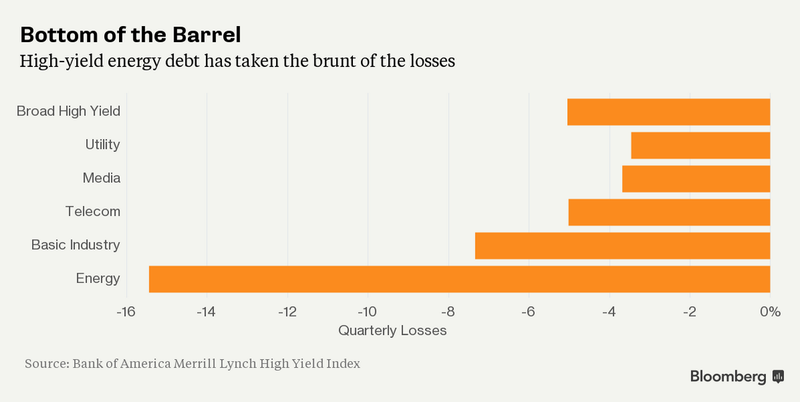 On Wednesday, junk-bond investors closed the books on their worst quarter in four years. After helping companies from Valeant Pharmaceuticals to ChenierEnergy raise a record $1.7 trillion of new high-yield bonds in the past five years, investors now have to contend with a reversal of the post-financial crisis trend. Years of low interest rates spurred companies to refinance their debt at lower costs and simultaneously encouraged investors to pile into asset class. The rout appeared to spread to investment-grade rated bonds later in the week. On Wednesday, Hewlett-Packard offered almost $15 billion worth of debt on Wednesday but had to pay up to sell the bonds for investors. The investment-grade-rated company offered an extra 50 basis points on its bonds compared with similarly rated corporate debt, or as Leonard Tannenbaum, chief executive of Fifth Street Asset Management, points out in an interview with Bloomberg TV, about $75 million extra a year. The new Hewlett bonds haven’t been doing very well since they began trading. On Thursday, the offering’s longest-dated tranche, $1.5 billion of 6.35 percent bonds that mature in October 2045, fell 1.3¢ from their issue price to 98.6¢ on the dollar. It’s a reversal of an historic trend that has generally seen the prices of much-sought-after new bonds “pop” in the days and weeks following their sales. Meanwhile, the cost of protecting portfolios of debt with derivatives soared, though the move in one closely-followed CDS index relating to junk bonds was arguably worsened by a ‘roll’ into a new series. According to Bank of America Merrill Lynch credit strategists led by Hans Mikkelsen: “The two weakest days in recent memory for high-grade credit occurred this week [on Monday and Thursday].” Meanwhile, Deutsche Bank Strategist Jim Reid pointed out that spreads on corporate debt are nearing levels usually seen during recessions. While credit has often been called the canary in the coal mine for global markets, because of its tendency to show signs of strain before stocks, the question now is whether bond investors are saying something important about deteriorating fundamentals or overshooting in their pessimism. This entry was posted in Alternative Credit, Investing in Alternatives and tagged COF, GHP-COF. Bookmark the permalink.